Wilder Beings Command! 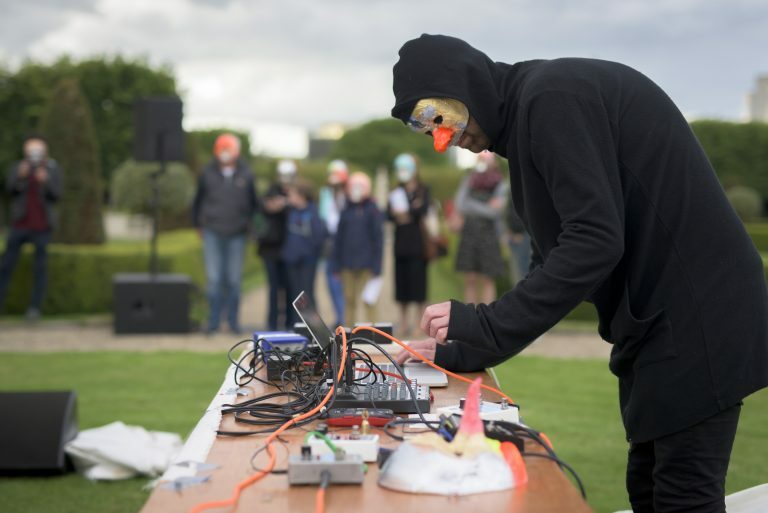 is a free night of outdoor performance at IMMA on Saturday 29 July 2017, 7pm -10pm. This unique night expands from the major IMMA group exhibition As Above, So Below: Portals, Visons, Spirits and Mystics - an exhibition which explores how the spiritual endures in our everyday lives. Wilder Beings Command! 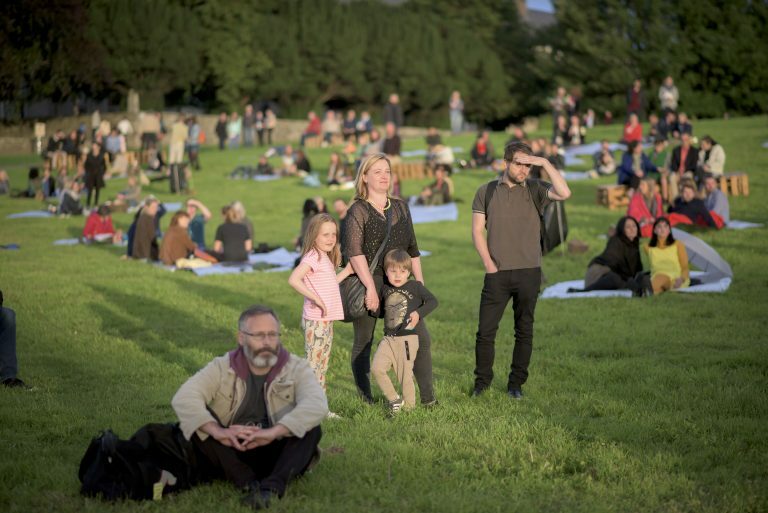 is a free night of outdoor performance at IMMA on Saturday 29 July 2017, 7pm -10pm. This unique night expands from the major IMMA group exhibition As Above, So Below: Portals, Visons, Spirits and Mystics – an exhibition which explores how the spiritual endures in our everyday lives. 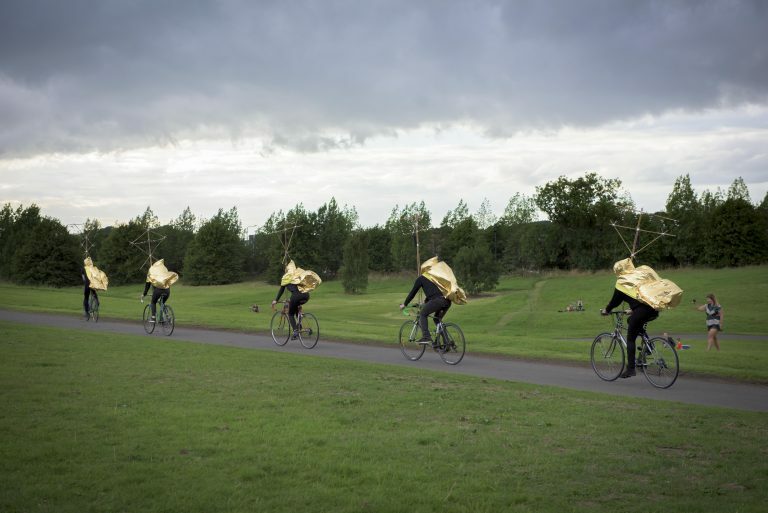 Celebrating art beyond the gallery floor, Wilder Beings Command! features performances, music, storytelling and dance. 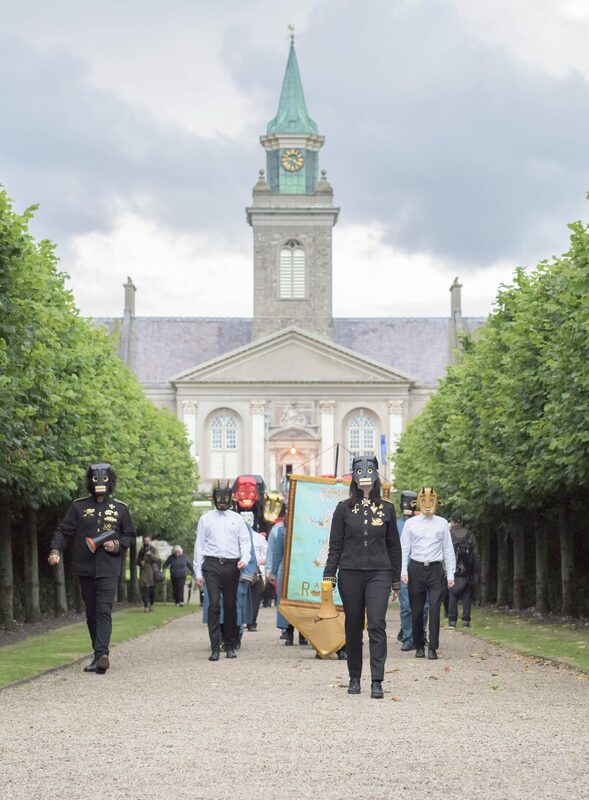 This live event roams across IMMA’s meadows and Formal Gardens, and builds to a grand finale in the Chapel. Artists include Gareth Anton Averill, Stephan Doitschinoff, Stephen Dunne and Mark Titchner with Daniel O’Sullivan, Isadora Epstein, Christopher Mahon, Emily Mast, and Barry (Edward Clydesdale Thomson, Sjoerd Westbroek and Frans-Willem Korsten). With moments of procession and ritual across the evening, the audience can play an active part in its unfolding, or just sit back and watch it all unfurl. Wilder Beings Command! is orchestrated as a series of overlapping moments. The evening commences with a medley of performances. These include a roving composition by Gareth Anton Averill, a mythical episode by Isadora Epstein, and a sculptural performance by Christopher Mahon. 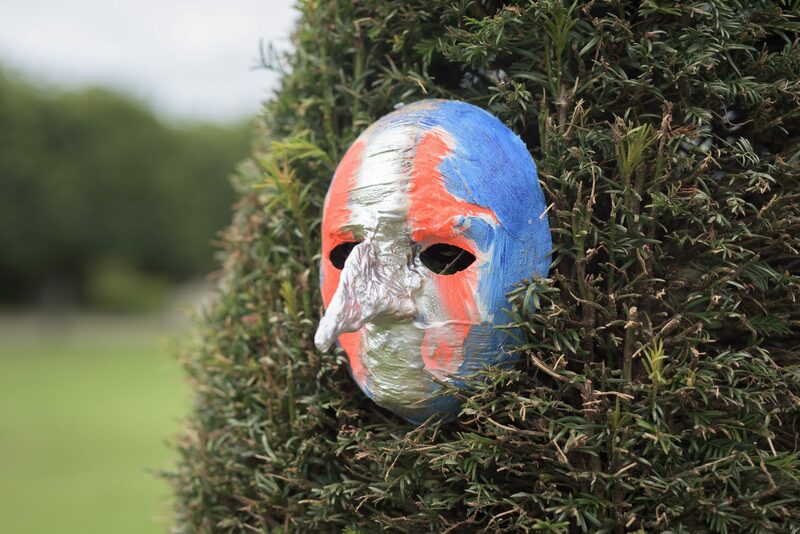 Running in parallel, collaborative projects include Stephen Dunne and Mark Titchner’s pseudo-political protest with a starring appearance from Daniel O’Sullivan, aka The Honourable Daines Barrington; and a short play by Barry (Edward Clydesdale Thomson, Sjoerd Westbroek and Frans-Willem Korsten), that philosophises the land, gardening and IMMA’s historical grounds. 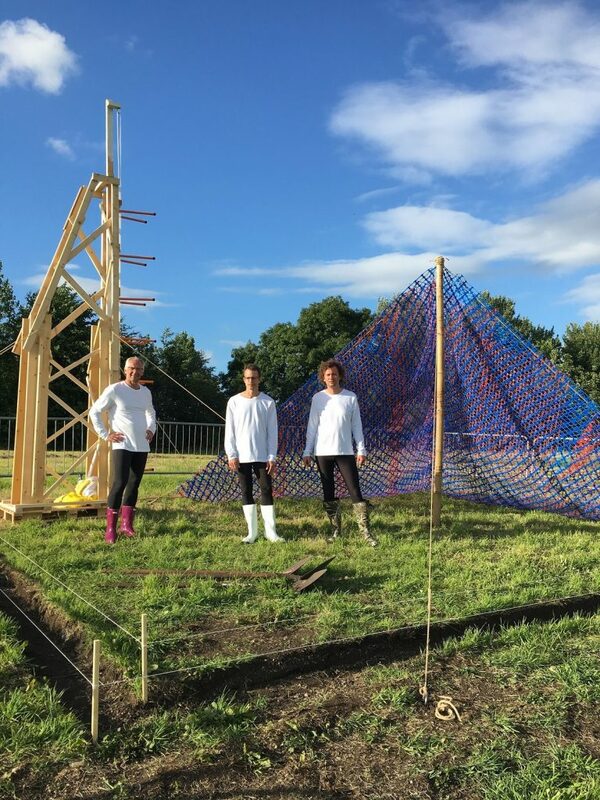 Later in the evening, the artist Emily Mast gathers the audience towards the hollow of the meadow with a re-working of her group performance Experiments in Falling. Heading to sunset, the night culminates in Stephan Doitschinoff’s CVLTO DO FVTVRV procession. Using drums, costumes and paraphernalia, this parade of musicians and participants leads the audience en masse into the Chapel for the final spectacle. 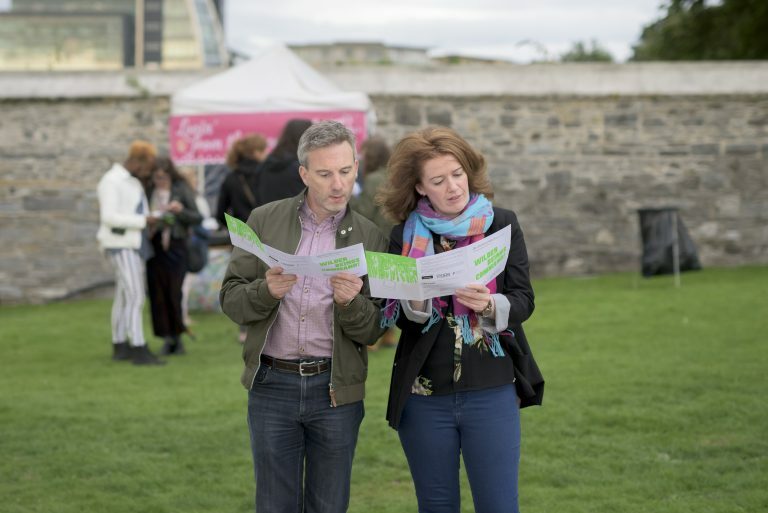 Echoing the collaborative nature of the evening itself, the development of many of these artists’ works is rooted within the IMMA site and its locale. Artists are taking up residency at the museum over several weeks, working closely with the Engagement and Learning Department on a series of workshops, talks, castings and rehearsals. Wilder Beings Command! takes place on the cusp of the ancient Gaelic harvest festival Lughnasa. In each of its elements, the evening echoes an organic connection to the earth, to the present and to one another. Provoking the energy of collective power, it seeks to release a neo-pagan spirit of the wilderness. As a pre-event warm-up to Wilder Beings Command! audiences are welcome to bring their own picnic, snacks and seating from 6.30pm onwards. Food and drink will also be available to purchase on site, with more details to follow. Performances will start at 7pm.